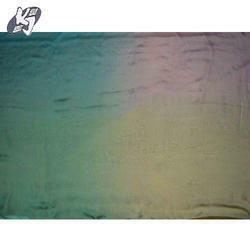 This is yarn Dyed jacquard fabric for car seat covers fabric. The style is jacquard fabric bonded with 0.3cm sponge and a pc of mesh cloth. The sponge thickness and whether you need the function of fire. Different types of viscose fabrics like viscose georgettes, shantoons are also widely used in garment manufacturing. The application ranges widely from lining to upper to party wear high fashion. We are manufacturer, supplier and exporter of Knitted Yarn Dyed Striper. These include all types of yarn dyed fabrics in feeder and auto striper bases. 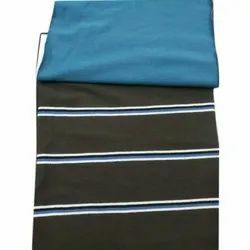 We make all types of knitted jacquards which include semi jacquards and fully computerized jacquard. Also to follow is interlock and sinker striper with jacquards. Chroma is a 100 % mercerized cotton thread meant for garments which are to be Overdyed. Chroma provides with better strength as compared to normal cotton threads and also gives better dye affinity. We feel proud to introduce ourselves as a trusted entity rendering effectual services for developing top grade Dyed Poly Chiffons. This fabric finds great application to manufacture high fashion dresses. For the ease of our clients, we avail these fabrics in various types of different weights ranging from 40 grams to 120 grams for different applications.